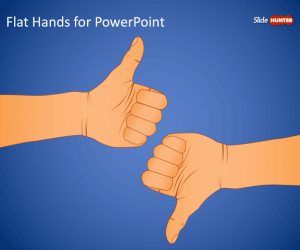 Flat Hands PowerPoint Template contains different hand gestures that you can use to decorate your slides. 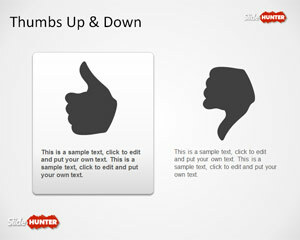 The gestures in this presentation template contains fingers pointing up, thumbs up and down and a clenched fist. All the shapes are editable so you can ungroup the shapes and customize each individual shape, change the shape styles and more.